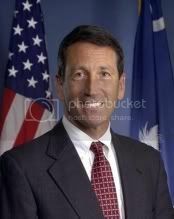 The LGBT community in The Palmetto State is taking lemons and making lemonade out of the outrageous behavior of the administration of Governor Mark Sanford (R) earlier this year. It pulled a pro-gay tourism ad that was slated to run during London’s Pride. The controversy led to international, mostly negative, attention to the state, including ridicule on a segment of “The Colbert Report”. While Sanford and Thomas backtracked from their original comments, the state refused to pay the nearly $5,000 share of the ad campaign. 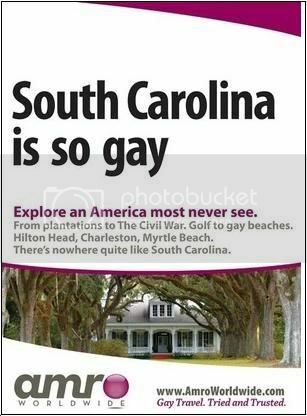 SC Pride stepped in and offered to raise this money to pay South Carolina’s debt and has raised over $1,000 to date. 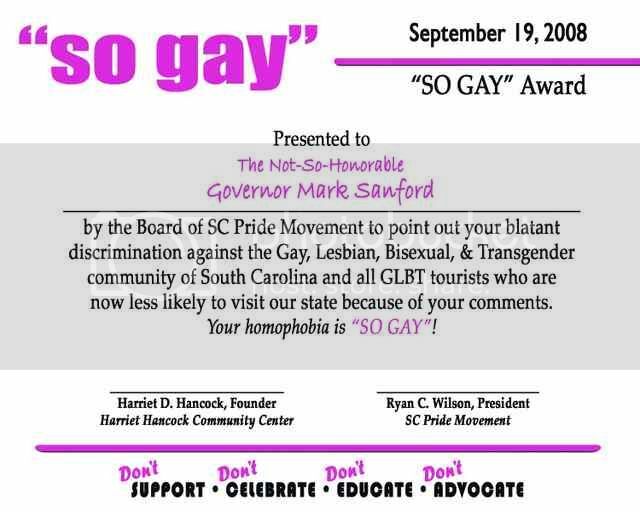 Ryan Wilson, president of the SC Pride Movement, says a framed version will be delivered to Sanford’s office. Perhaps it should be sent along with a fruit basket for good measure. More Abramoff And Ring: Tipping Point For Republican Corruption Dominoes?